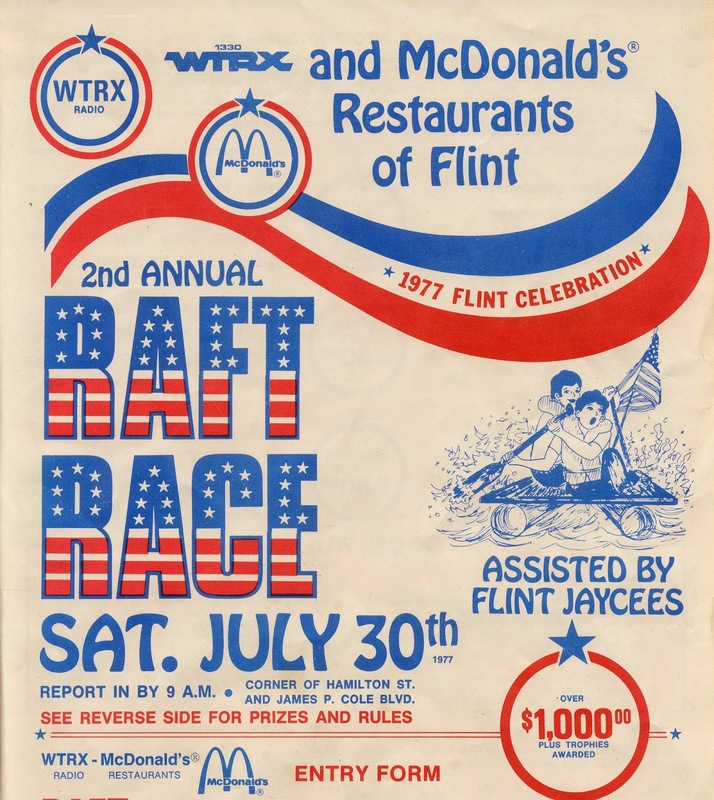 John Baker and John Fisher, with the help of Frank Baker and Mark Carol, entered the 2nd Annual Flint River Raft race in 1977. 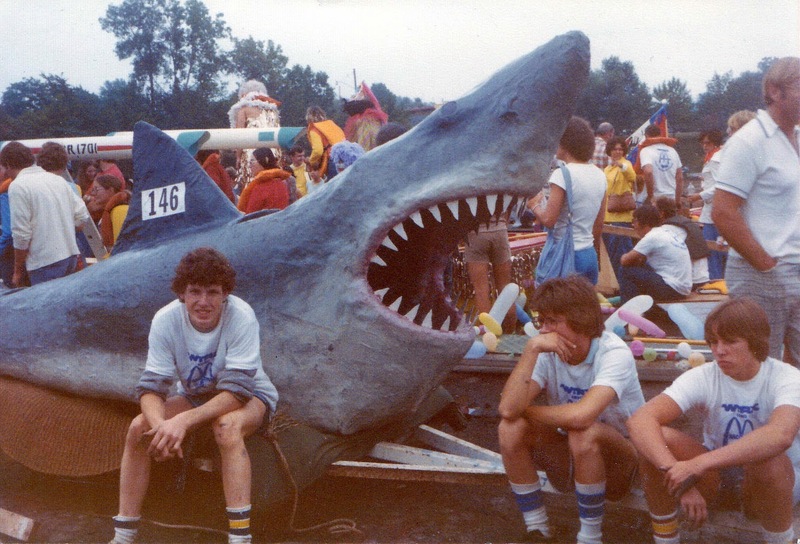 They made a fiberglass shark because "Jaws" had been such a popular movie the previous year. They didn't win the competition. I believe a raft made of beer cans won. 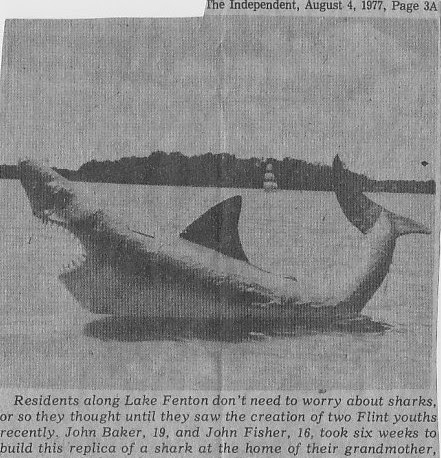 After the race, we kept the shark at Lake Fenton for a while. Occasionally, we would take it out, but it was tricky to steer, so it mostly just stayed on the shoreline. 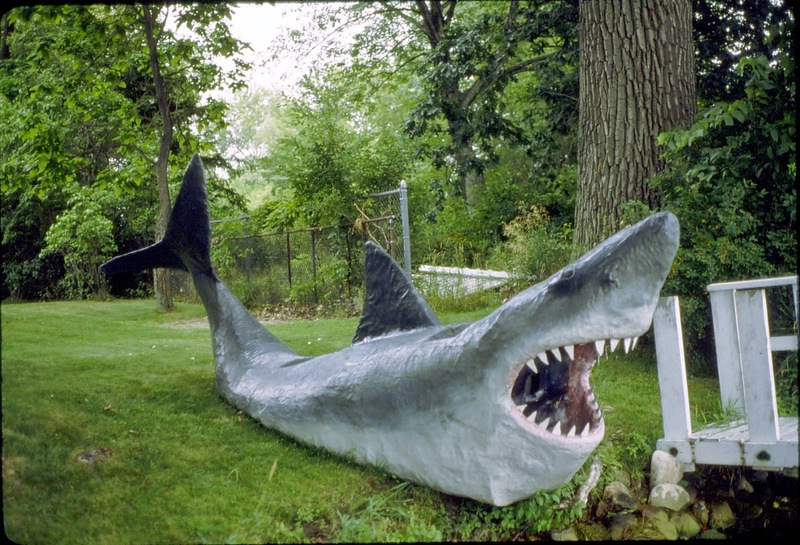 I believe this shark is in an abandon building on Corunna Rd. If you look behind the shark in that last picture, you can see the Starship Enterprise raft built by myself and Diane Scott. That's her in the yellow shirt just back of the shark's dorsal fin. I think I'm behind the fin in this shot. ;-) I have to admit the shark was a better job... they passed us on the river like we were stuck on impulse drive. ;-) Nice to see someone else's pics of the race.